This Myler bit is a Level 1 bit, applying maximum tongue pressure. When the reins are engaged, the mouthpiece will rotate fully on the tongue in order to apply the necessary tongue pressure to teach a horse to give to the bit or break at the poll. The bars of the bit are curved so the bit wraps the bars and lips of the horse’s mouth instead of pinching them when it rotates on to the tongue. Myler bits unique Independent Side Movement allows the rider to give his or her horse a more precise cue, while having better shoulder control. This mouthpiece is made of polished sweet iron with copper inlay, and will naturally oxidize or rust. This is not harmful to the horse, and its sweet taste promotes salivation. Myler Level 1 HBT Shank Sweet Iron MB 02 Mouthpiece with 5 Shank is rated 4.7 out of 5 by 3. 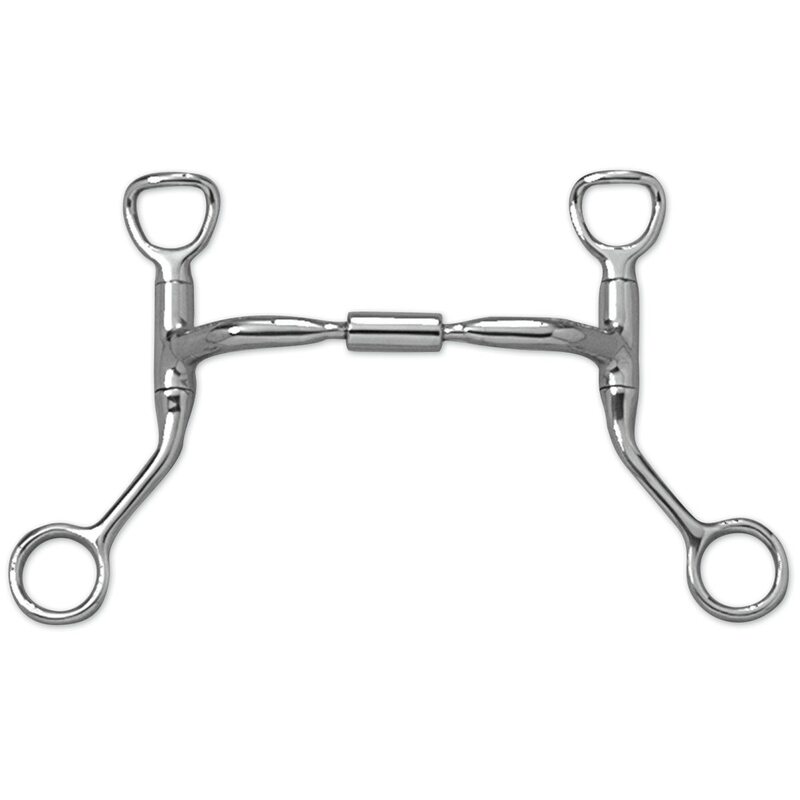 Rated 5 out of 5 by Learning from User Friendly I bought this bit over a year ago and it worked well as a transition bit for a young horse or for beginning riders. Needed a second bit to minimize bridle changes.